That's Italian for 29, and that's how old I am as of today! Today is my birthday! The past couple of weeks I've really been working hard to get my Etsy inventory built up and ready for the holiday rush, but today I took the day off to relax, do some shopping, and a little bit of baking (banana bread, mmm). It's been wonderful! My boyfriend and I have planned a little birthday trip up to Half Moon Bay this coming weekend for the Pumpkin Festival! 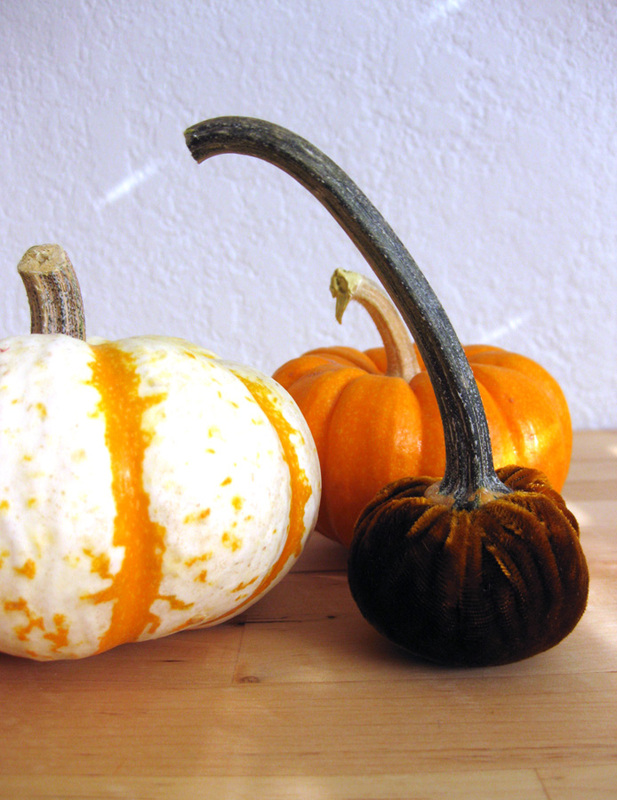 I'm really excited to check it out and pick out a few pumpkins so I get started decorating them. I have a few ideas I want to try out. And speaking of pumpkins, my sister gave me this little guy for my birthday. Isn't that the coolest thing? It's a tiny velvet pumpkin! 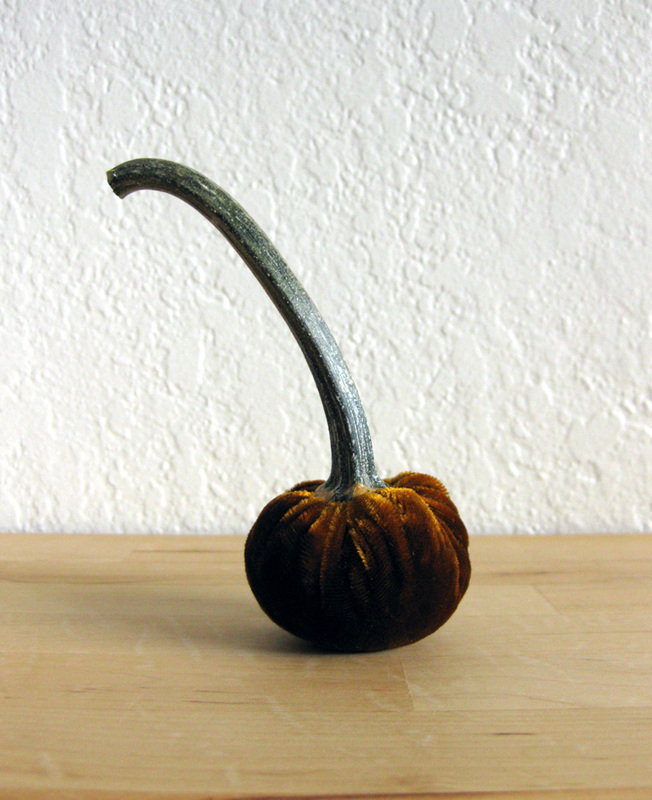 It's made buy a company called Hot Skwash that makes all sorts of beautiful velvet pumpkins using real pumpkin stems. They even make velvet mushrooms. Check out the Hot Skwash website to see where you can find a retailer near you.